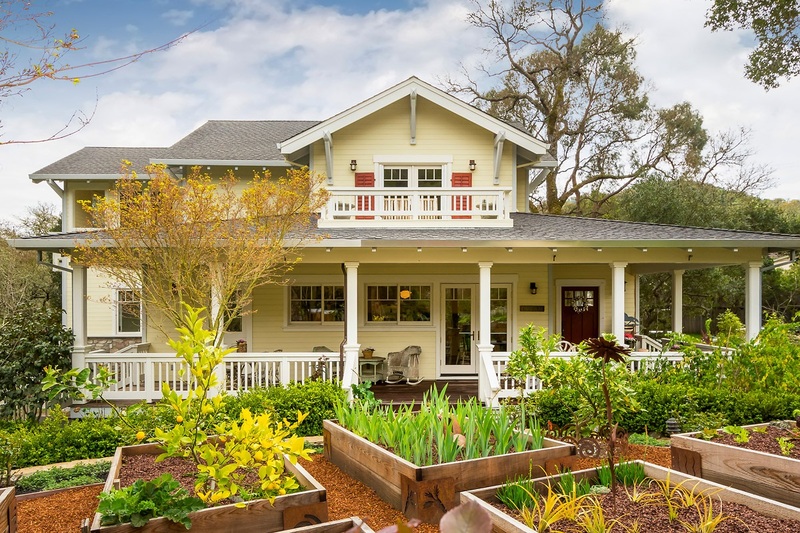 One of the most enchanting properties Novato has to offer. This 1.5+ acre Indian Valley country estate offers a stunning home, separate cottage, 3 car garage, barns, horse facilities, extensive gardens and a seasonal creek. This enchanting, Pottery Barn style home was substantially rebuilt in 2003 and has been featured in commercials and magazines. From the moment you set foot onto the hundred-year-old tobacco barn floors you know you have arrived somewhere extraordinary. The classic country kitchen has all the amenities one could hope for; Calcutta Oro marble counter tops, Wolf range with custom hood, Sub Zero refrigerator, farmhouse sink, breakfast area, counter seating, and walk in pantry. The living room showcases a generous fireplace and soaring beamed ceilings. The sweeping staircase welcomes you to the second floor where you will find the most romantic of master suites with private balcony overlooking the exquisite gardens. The suite is complimented by two walk-in closets, and a luxurious bath with double soaking tub. The adjacent office overlooks the dramatic living room through vintage windows, and has it’s own private balcony. The main level has an oversized private bedroom and full bath, wash-room, deck of living room with views of the seasonal creek, and a spectacular large porch with seating areas over looking the gardens. This home also features an outdoor shower and lots of extra space under the house for storage or wine cellar? The large three car garage has additional space for storage or workshop and a single piston hydraulic lift with adjustable feet to support virtually any car or truck. Separate from the main house, this charming cottage with loft has its own driveway and private yard. Previously rented for $2000 per month. The large wooden barn is approximately 900 square feet. Currently divided by non-structural walls into separate areas, this barn has endless possibilities! The classic red 2-stall barn is a highlight of the horse facilities on the property. Fenced and cross-fenced, the property has both paddocks and pasture, and many smaller barns and shelters for horses and other animals. Keep your eyes open for the goats, pigs and Shrimp, the miniature horse. Everywhere you look, this magical property is replete with extensive gardens, including raised vegetable beds, rose arbors, and endless smaller vignettes with seating areas, handmade rock fire pit, and horseshoe pit. There are more than 25 fruit trees including apple, peach, plum, pear, orange, lemon and avocado. There are also many beautiful Oak trees dotted around the property, providing privacy and shade areas. Although this property is unbelievably private and peaceful it is located so close to shopping, schools, and just a few minutes to the freeway! Truly a once in a lifetime opportunity.